Four-time Oscar®-winning filmmakers Joel and Ethan Coen (No Country for Old Men, True Grit, Fargo) write and direct HAIL, CAESAR!, an all-star comedy set during the latter years of Hollywood’s Golden Age. 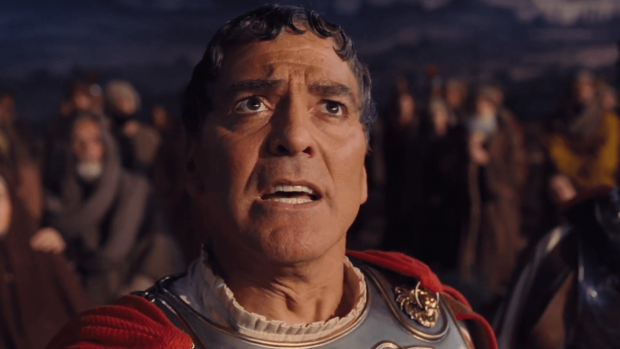 Starring Josh Brolin, George Clooney, Ralph Fiennes, Tilda Swinton, Channing Tatum, Scarlett Johansson, Jonah Hill and Frances McDormand, Hail, Caesar! follows a single day in the life of a studio fixer who is presented with plenty of problems to fix. Look at that cast. Good God! The film releases on February 5th. Enjoy the new trailer. This entry was posted on Tuesday, January 12th, 2016 at 3:27 pm	and is filed under Film, News. You can follow any responses to this entry through the RSS 2.0 feed. You can skip to the end and leave a response. Pinging is currently not allowed. « Sting To Be Inducted In This Year’s Hall of Fame During WrestleMania Week!! !